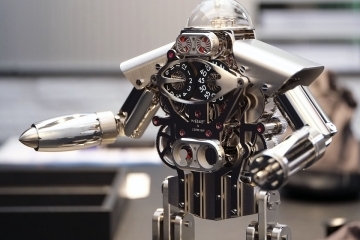 We’re not entirely sure how the Popeye Clock is going to blend into your home’s décor. 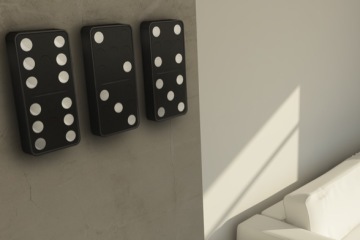 I mean, two giant googly eyes that move throughout the day plastered on your wall doesn’t exactly make for the most versatile decorative element. 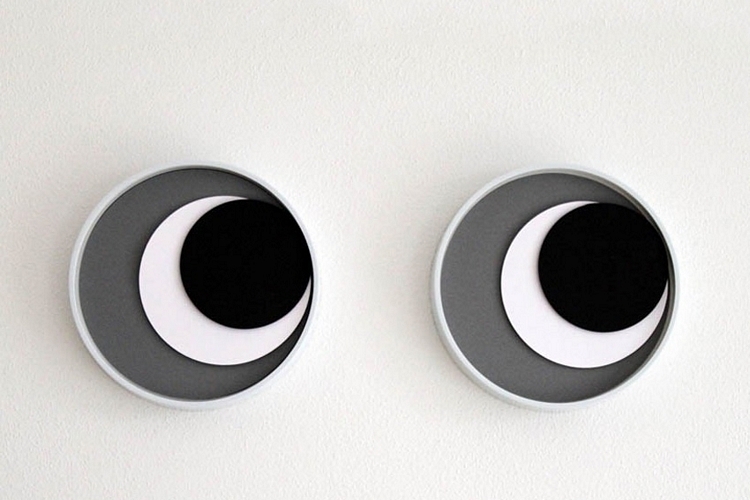 But, seriously, how can you not want to try putting giant googly eyes on your wall when they look this fun? 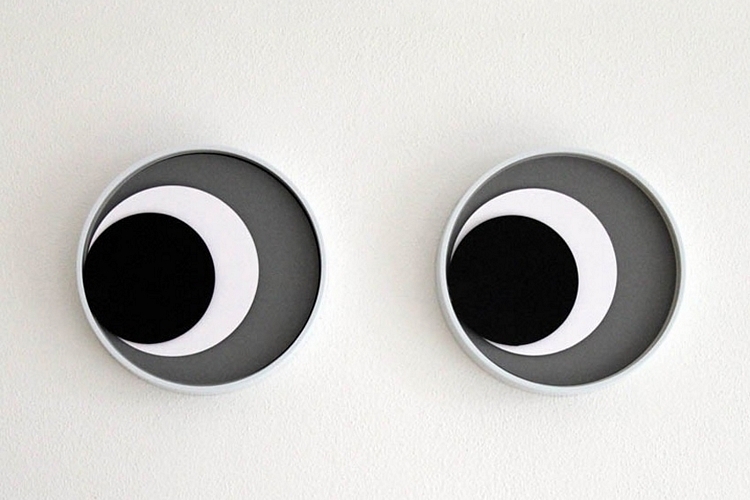 Created by German designer Simon Lumb, it’s a clock clad in the form of a round googly eye. You know, the kind of eyes they put on goofy-looking cartoon characters. Whether you’re looking to create a more playful mood in a room, want to pretend you’re living in a haunted house with walls that stare at you all day, or just enjoy the sight of googly eyes on anything, this thing should do the trick. 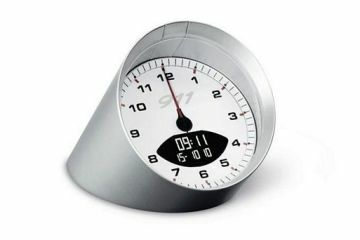 The PopEye Clock consists of two moving circles – one white and one black on a gray clock background. The smaller black circle indicates the hour, while the larger white one tells the minutes. They function much like regular clock hands, albeit circular, with the edge of each circle touching the corresponding clock edge for the current hour and minute. As such, both circles will be pushing to the left at 3:15, upwards at 12, and so on. 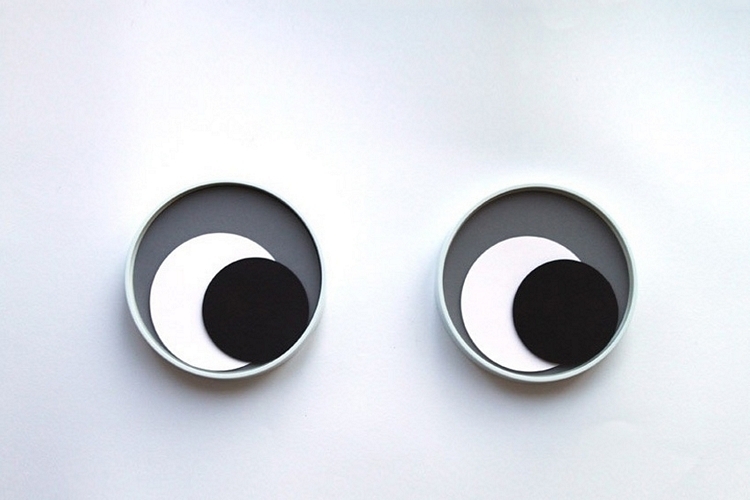 Since a single googly eye on your wall is just plain weird (and some people may not get the joke), they come in pairs, ensuring people know at a glance that they’re looking at what’s supposed to be a pair of eyes. Since they both tell the time independently, both eyes will look at the exact same direction every single time, although you can always alter one if you prefer looking at eyes staring in different directions. Available now, the PopEye Clock is priced at $149. 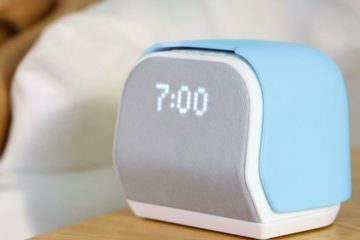 The Pop Eye clock looks good, especially in a childs room, but I am not sure how easy it would be to actually tell time with it. Function aside, the aesthetics can be argued here too. It looks cute, but do you really want this to be the focus of your room. You could probably blend it in with some type of decor, I am just not really sure what that would be. I liked the original Pop Eye movie and the cartoons, but I would not have guessed this to be a Popeye related clock. I am sure not many people would. 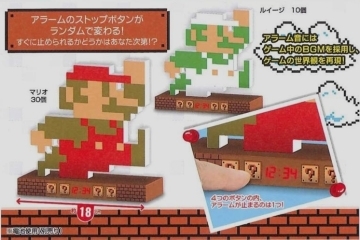 I personally wont be buying the Popeye clock because it is too expensive when you look at other clocks that are available int he same price range. 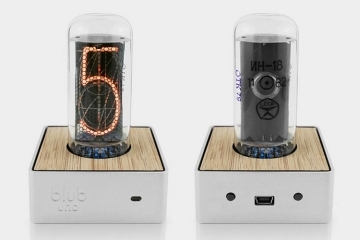 Yes this clock is cute, but I don’t want cute in my condo or in my lavish office.